Yeah, you heard me. Boz Scaggs. And I’m damn proud of it too. I’d never heard of him before this album, and didn’t run out and buy it, but I think I did purchase the cassette on purpose. I wasn’t a major Steve Miller fan, except for “Living in the USA,” which now makes me want a cheeseburger, and I just learned that’s where Scaggs has his roots. Another entry for my most beautiful songs list is Scaggs’ “We’re All Alone,” but not so much Boz’s version but Rita Coolidge’s, as Coolidge has a purer voice and can easily hit the notes Scaggs strains for. Apparently the song was covered by Frankie Valli of Four Seasons fame (Jersey Boys for you young’uns) as well. I’ve never heard that version, nor do I think I want to. 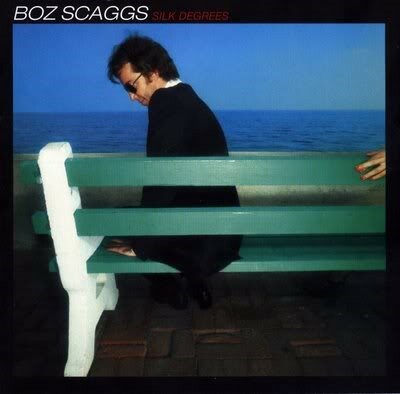 Silk Degrees was far from Boz’s debut album in 1976, but it was the one that we all heard of. In addition to “We’re All Alone,” which ends with a strangely disconnected piano piece that is like skipping through a garden, and “What Can I Say,” in which Boz actually sings the words “sock it to me,” (I guess that’s what he can say), is “Lowdown,” one of the coolest songs ever, along with every song on Rickie Lee Jones’ first album. If this were one of my old record albums, it would have made the workout list. Boz Scaggs is also still out there performing and just celebrated his 70th birthday. I’d just like to say hello to Brazil.